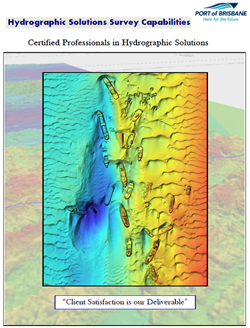 Port of Brisbane’s Hydrographic Solutions team provides a range of world-class hydrographic surveying services including environmental, sub-bottom profiling, multibeam surveys, magnetometer/gradiometry surveys, side scan surveys, and hydrographic visualisations and 3D fly-through animations. 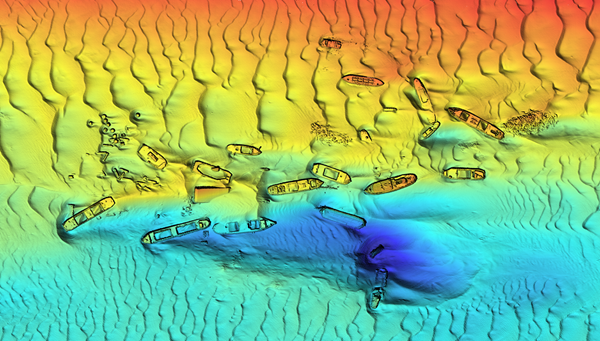 Our team operates the latest state-of-the-art multibeam sonar equipment and vessel mounted terrestrial laser systems coupled with precise inertial navigation and GPS positioning systems. This information is integrated into data acquisition and quality assurance processing software packages to achieve high accuracy surveys to both Maritime Safety Queensland Class ‘A’ standards and IHO Special Orders.